In the 1984 rite-of-passage classic The Karate Kid, Daniel LaRusso is taught agility and patience by his sensei, Keisuke Miyagi, by catching flies with chopsticks. What kind of agility do you think it would take, then, to steal an iPhone using chopsticks? From a passing bicyclist, no less? The Chinese gentleman above apparently pulled off the incredible feat in downtown Zhengzhou. 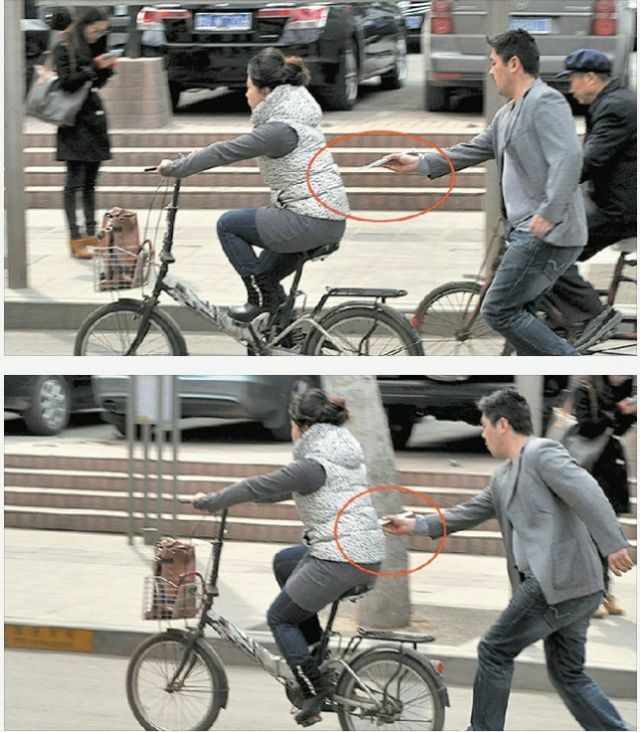 A journalist happened to snap his nimble pickpocketing in action, which led to Wang turning himself in.